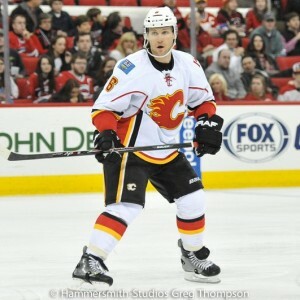 Why Is Dennis Wideman on the Team? experience and not expect to see long-term repercussions from the officials. Dennis Wideman served his entire 20 game suspension and maintained the injury was an accident caused after he was hit along the boards by Nashville Predators forward Miikka Salomaki, but it’s a bit hard to believe. Still, even with the incident in the past, Kelly Hrudey from Hockey Night in Canada pointed out during the season opener that the referees deliberately penalized the Flames more often last season because of Wideman’s senseless act. This really begs the question, why is he still on the roster when he and the team are likely to be just as much of a referee target this season? His cap hit is $5.25 million for one more year and he does have a No Movement Clause, so I realize that trading him is next to impossible. But, why wouldn’t you buy him out? If the Flames had done that between June 15 and June 30th, they would’ve been on the hook for $4 million or two-thirds of the money owed to Wideman. The only catch is that he had to be medically cleared to play in order to go on waivers and be eligible for a buy-out and perhaps his late-season tricep injury kept that from being an option? I hope that’s the case because there’s no reason to keep a slow, defensive liability like Wideman on the blue line. His only saving grace right now is his shot from the point and his power play presence but it’s not quite enough to keep him regularly in the lineup given his salary and poor foot speed. 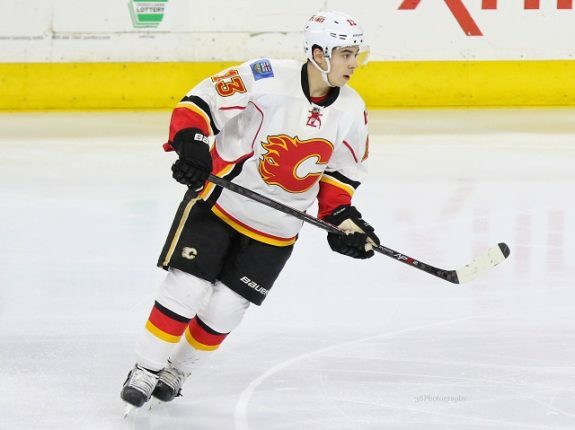 Why Drag out the Johnny Gaudreau Signing? Getting Sean Monahan and Johnny Gaudreau both under contract was a top priority for the Flames this summer. That’s why it’s great they were ultimately successful in getting both of them signed to long-term cap-friendly deals at under $7 million per season. But, why did it take so long with Gaudreau especially since Monahan had stated publicly that he knew Gaudreau didn’t want to miss any games? Flames management also knew Gaudreau didn’t have any real options aside from sitting out, so it’s surprising to me that it took until the eve of the season to hammer out a deal especially when it was costing the team a meaningful training camp with one of its top players. Sean Monahan’s nagging back injury combined with the surprise signing of Kris Versteeg at the very beginning of the season has a Flames top-line that looks completely unprepared to play together. Plus, it’s creating a window of early season games where the Flames seem to be holding auditions over whether Versteeg will stay on that line or whether Micheal Ferland or Alex Chiasson will jump into the role. Wouldn’t it have been nice to work that out in training camp? RELATED: What Exactly Happened with Kris Versteeg? 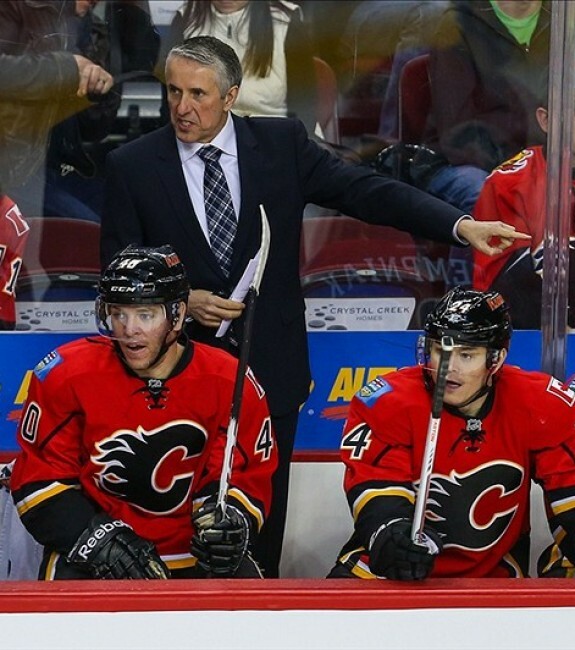 It only took eleven months to fire Bob Hartley after he won the Jack Adams trophy as the NHL coach that contributed most to his team’s success. Hartley was a tough coach who demanded a lot from his players and who was known for his strong disciplinary measures when players got out of line. Just ask Monahan, Gaudreau and Lance Bouma who were all scratched for a key regular season game in February after arriving late to a post-Super Bowl practice. No doubt, Hartley’s firing came as a surprise but rumors persisted that his demanding nature was driving the players to the point of mutiny and that he had lost influence in the dressing room. That may be true but when you fire a coach and almost all of his assistants for this reason – what’s the message that you’re sending to your team? For years, the Flames have struggled with consistency and have had a questionable work ethic at times, so I’m not sure what moving from Hartley to Glen Gulutzan accomplishes for the team. Maybe the Flames believed their own press a little bit too early and assumed they already had the elite level skill and discipline required to be successful? But, for me, the rebuild in Calgary is continuing and the removal of Hartley had a mostly neutral, if not negative, effect on the Flames rebuild. A change may have been necessary but the organization should have realized that bringing in Gulutzan would also bring a massive culture shift. For some reason, they didn’t properly estimate the impact of this issue and I think it is contributing to the team’s struggles. A change may have been necessary but the organization should have realized that bringing in Gulutzan would also bring a massive culture shift. For some reason, they didn’t properly estimate the impact of this issue and I think it is contributing to the team’s struggles. 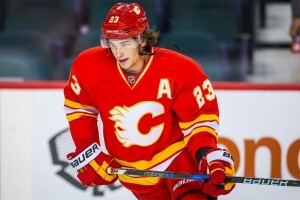 What is the Direction the Flames want to Take on Defense? Everyone knows the stars of the Flames defense are Mark Giordano, T.J. Brodie & Dougie Hamilton. After that the team has a lot of capable yet flawed defenders in Wideman, Deryk Engelland, Nicklas Grossman, Jyrki Jokipakka and Brett Kulak to choose from in each game. Engelland has probably been the most consistent of the bunch so far this season by doing his job and containing forwards with his hard-hitting defensive style. But, in the back to back opening two games against the Oilers, the Flames decided to start Wideman for both games and Grossman in game one, where both of them were victimized repeatedly with their slow foot speed giving way to at least four of the Oiler goals in the two losses including a key one on the Connor McDavid penalty shot to bring the score to 5-3. By game three versus the Canucks, the Flames seemed to figure out that speed on the back-end is important, so they dispatched both Wideman and Grossman to the press box in favor of Jokipakka and Kulak. The end result was just one goal against in regulation time, which was a big improvement. Still, as the season goes on it’s hard to imagine the Flames will sit Wideman as much as they should due to his salary and his perceived abilities on the power play. Grossman, however, might be watching from the rafters for quite a long time which makes you wonder how he made the squad on a PTO tryout in the first place? How Do You Build Chemistry with All the Line Juggling? In these first few games of the young NHL season, it was easy to see the Flames were focused on keeping Monahan with Gaudreau on the top line, Sam Bennett with Troy Brouwer on the 2nd line and Mikael Backlund with Michael Frolik on the checking line. But, determining the additional winger on each line is proving to be a challenge. Is Versteeg playing with Monahan and Gaudreau or is it Ferland or Chiasson? Bennett playing in the middle between Brouwer and Matthew Tkachuk looks like Calgary’s strongest line so far but the goals aren’t coming yet. On the third line, it looks like Bouma is holding a spot with Backlund and Frolik but I’m not sure his style is really compatible with their skill set. In the first three games, Gulutzan has looked an awful lot like Hartley throwing out all sorts of line combinations during a game to find the right mix. Unfortunately, I think too many Flames players have been caught trying to learn new systems from a new coach while also absorbing team related drama generated by poorly planned management decisions and it’s hurting the outcomes on the ice. Here’s hoping the upcoming games on Tuesday and Thursday against the injury-riddled Buffalo Sabres and the under performing Carolina Hurricanes will bring the Flames some structure and increased confidence heading into the next week.